Find here the best Belle & Bloom coupons and deals. 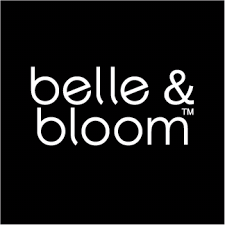 Belle & Bloom is a Sydney based bunch of designers, life lovers, stylists, specializing in genuine leather fashion items. Inspired to create trending but timeless collections with high quality and seamless craftsmanship. Be stunning and extraordinary everyday! Welcome to our colourful and fun world! Simple but glamorous. Classic but fun, Luxury but affordable – To make you look a bit different is our sweetest wish. Free international shipping for all orders above AUD199 and Free shipping on all australian orders above AUD50. If you receive a product from us and have purchased it from this website and you are not completely satisfied with the size, colour, style etc we are more than happy to exchange the items purchased provided they are returned to us in original and new condition and within 21 days of you receiving the shipment.